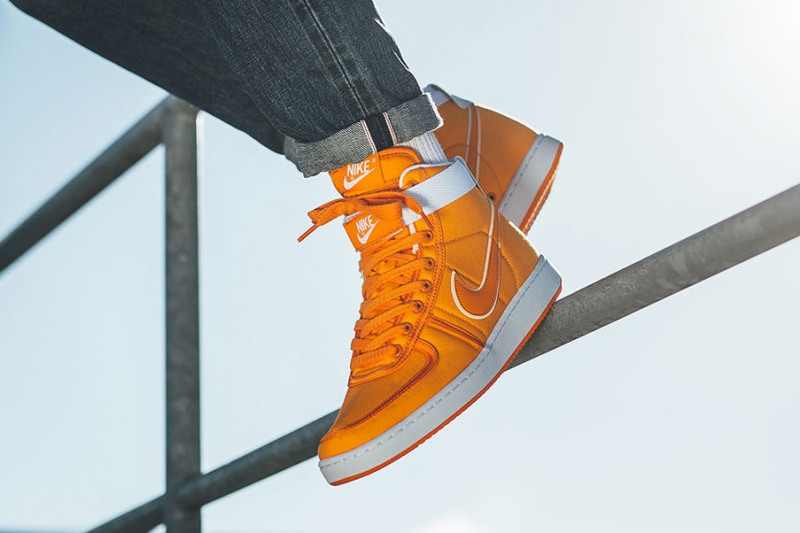 As a homage to the old school, the Nike Vandal High is a serious blast from the past, returning in its OG colourway in another classic variation that is reflective of the 1985 cult film, Back to the Future. 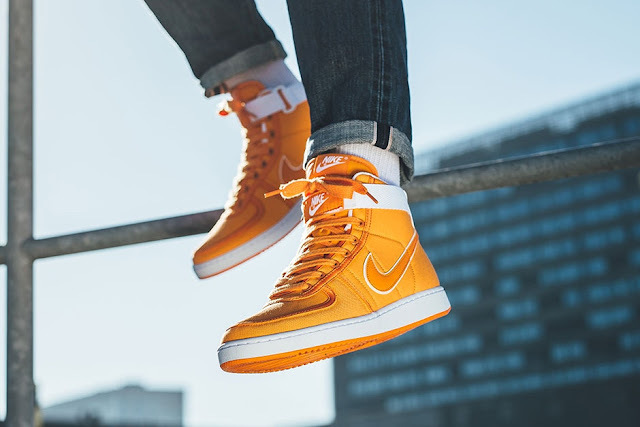 The basketball high-top gets even more eye-catching thanks to the bold shade of orange across the upper. 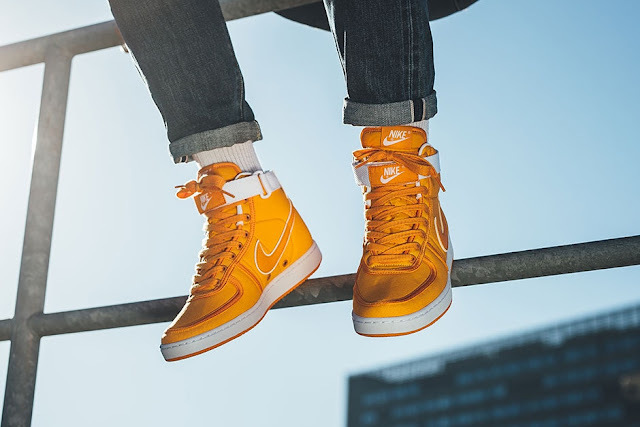 This features to lightweight and water proof nylon which extends high at the ankle. White piping circles the Swoosh with this colour also balances the aesthetic to a chunky strap across the ankle. The OG look is completed with the addition of an over stretched Swoosh along the sidewall. Sitting underfoot is a white coloured midsole that retains the low profile look which is synonymous with the range.